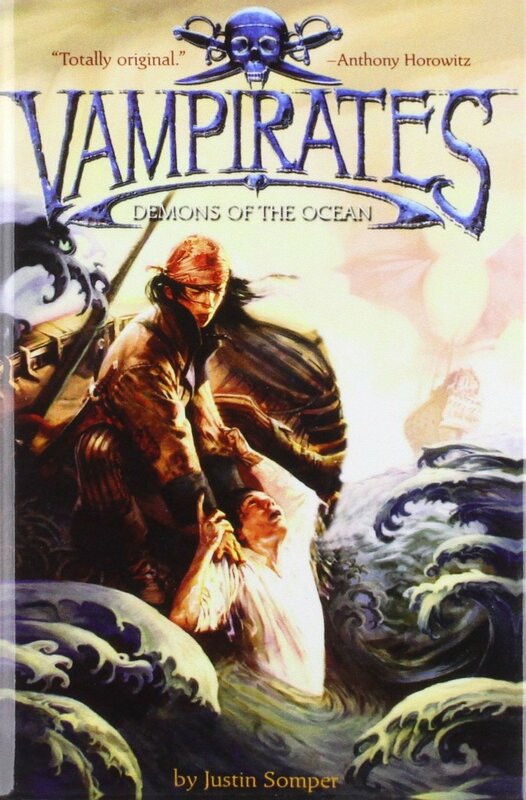 Before we start, I should admit the main reason I was looking forward to reading the first in the Vampirates series. I saw the combination of vampire and pirates, and proceeded to giggle like a particularly excitable schoolchild. That combination had the potential to be metal album cover levels of dorky cool, so I was quite looking forward to it. And then my husband, who had previously read pretty much the whole series, described it as "an earlier version of Twilight, but moreish". And I was instantly very conflicted. Demons of the Ocean follows twins Grace and Connor Tempest, the oddly-talented children of an enigmatic lighthouse keeper. After their father's death leaving them homeless and penniless, the twins decide to steal their father's repossessed boat and take their chances out to sea. They are soon caught and separated in a storm, rescued by two separate ships. While Connor finds himself on the ship of an infamous pirate by the name of Molucco Wrathe, Grace wakes up on a ship where none but the captain walk upon the deck during daylight hours. Traumatised by their separation, the twins aim to reunite. This is such a dumb book. I can see why my husband compares it to Twilight, as it does feel very much like fanfiction. 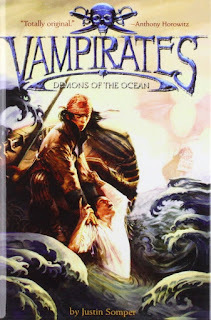 The main issue that I have with the Vampirates series so far is that it seems very confused about what time period that it wants to be. So it's supposed to be set in the 26th century, but there doesn't seem to be any kind of attempt to capitalise on the kind of advanced technology that should be available. Instead, there seems to be a weird mix of mundane current-day technology like diver's watches and an overwhelming amount of things that would fit better in the golden age of pirates, like swords, galleons and ridiculous amounts of booty. All I wanted was for the book to settle on a time period and stick to it. If everything had been set in piracy's golden era, that would have been so much easier and wouldn't have had to change a great deal. Despite the weird time setting inconsistencies, it was surprisingly entertaining. It's still incredibly dumb, but a fun kind of dumb, like a B-movie. It's full to the brim with stupid concepts that just about made me cry with laughter. Pirate academy, anyone?